I really wish they had something like this when I was a child--maybe if they had I would have learned to ride a bike! To this day I can't ride a bike and I have little to no balance which according to the company this amazing bike can help with. This is what Leg & Go has to say about this brand new children's bicycle. The Kick starter campaign is almost over and now is when production of this bike will begin! A complete innovation merging 8 children bikes into 1! In the present, parents more and more often look for smart investments, including things for children that don't have to be replaced over and over again because they outgrow them. 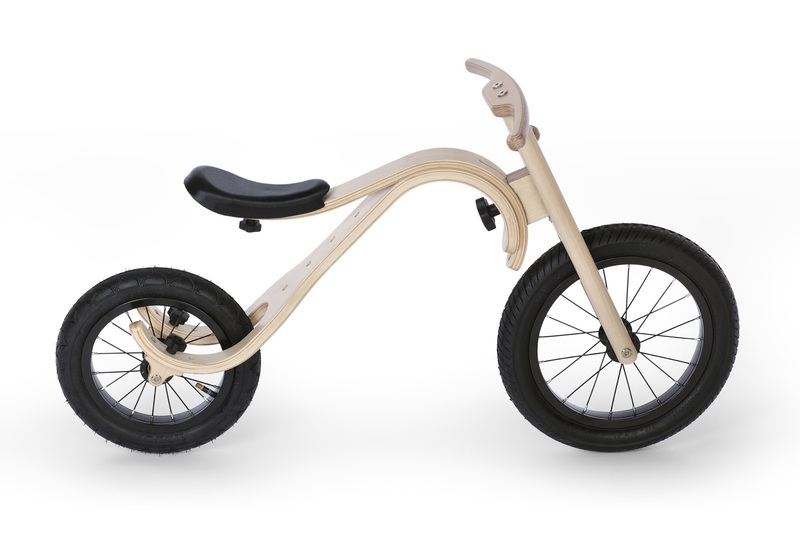 Leggo Bikes LLC has designed an 8-in-1 bike suitable for children ages 8 months to 6 years. 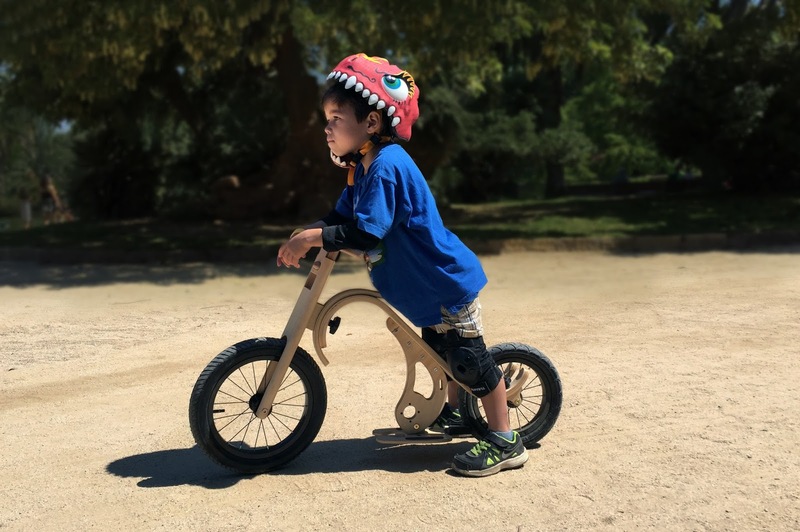 The light birch plywood frame comes with an ability to accommodate eight modifications which give additional support for learning to walk, improve the feeling of balance and enable an option for pedaling! In addition to various versions, Leg&Go is also safe. Its unique frame design provides incredible suspension travel absorbing shock and safeguarding your child’s spine. To protection adds also the thoroughly calculated frame angles which automatically shift the shock from saddle to wheels. 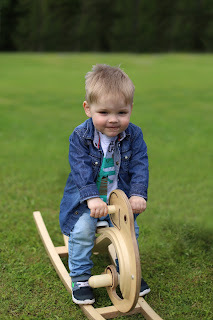 And children on Leg&Go will truly have control over the bike thanks to the readjustable steering limiter and bigger front wheel for more precise steering. The team also paid attention to safety when chosing parts, like belt instead of a chain, or wider, deeper polyurethane saddle. In each set position, you can alter the seat, steering wheel and frame, which allows your child to comfortably master balance at their own pace and start pedaling with complete confidence when they are truly ready. The bike not only has an elegant look, but it also provides safety of the environment. The eco-friendly birch plywood-frame design enables also the perfect thickness for maximum flexibility and durability. There is nothing like this on market and in order to bring the completely new invention to reality, Leg&Go team has launched a campaign on Kickstarter. Visit their website www.leggobike.com or take a closer look at their Kickstarter project to learn more about the Leg&Go. Words can only capture so much, but this video does an awesome job of showing how versatile the Leg&Go truly is. When you go to their website click on the menu tab on the upper right-there is a lot of interesting information!! This is a sponsored post-I may have received product or monetary compensation. All opinions expressed are my own honest opinions. For more information please check my Disclosure Statement. Our giveaways are in no way sponsored or promoted by Facebook. I'm with you, I can't ride a bike either. If they had this in might time maybe I would know how to ride a bike. This is really great! My daughter would LOVE this bike! This looks like such a fun bike. My sons would have loved to try riding around in it when they were younger. This is so cool! My daughter is just learning to ride a bike right now! What a unique bike - I love it! I really love the concept behind this bike. Looks like this company has done a great job in creating an inventive product. Me too! I wish they had these when I was little. My kids had some similar, but it was plastic.